Rajat Sharma described Ramayana penned by Maharishi Valmiki as the best screenplay, story to have been written in 5000 years. Stressing on the need for upliftment of people belonging to downtrodden communities, Rajat Sharma, Chairman and Editor-in-Chief, India TV, on Wednesday urged people from all strata of society should come forward to help those in need. Speaking as the chief guest at an event of Valmiki community organised at New Delhi's Constitution Club, Rajat Sharma described Ramayana penned by Maharishi Valmiki as the best screenplay, story to have been written in 5000 years. He said people of people need to help and embrace those belonging to the Valmiki community. 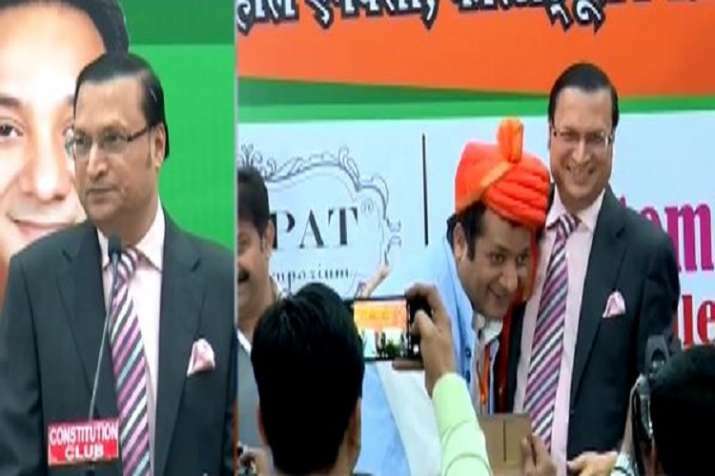 "Aasman pe thikane kisi ke nahi hote, jo zameen ke nahi hote wo kahin ke nahi hote," Rajat Sharma said at the event which was also attended by Delhi BJP president and MP Manoj Tiwari.